Soft, spongy and melt in mouth, gulab jamun, drenched in sugar syrup is a Indian traditional sweet. This is a very famous and liked by one and all. It is made with khoya, but now a days many instant mixes available in the market. With the instant mix, making it is very easy, but the taste differs from the one made with khoya. Once we taste the jamun made with khoya, we won't like to have them with the ready mix. I made them with khoya this time. All of us in my family liked very much. This I made as my kids' Birthday special. 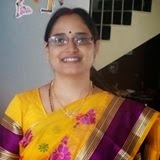 I have learned it from my neighbouring friend Geetha, who makes them only with khoya. Some people add rose water also. Khoya can be made at home or we can get it from stores also. But make sure that it should be fresh and a bit tighter and harder. Add a little all purpose flour to it and make jamuns. The shop keeper who sold khoya to me revealed the trick of the trade, that they add milk powder also to it, to make more softer and tastier jamuns. So we added that also in it. Combine water, sugar and cardamom, mix till the sugar dissolves. Bring it to boil. Boil it for 8 to 10 mins. Make a thin syrup. Sugar particles should not stick to the vessel, this will the syrup crystallizes, once it cooled. Add cardamom, I added the seeds directly, not the powder of it. Combine khoya, all purpose flour and milk powder together. Mix well and make soft dough out of it. Do not knead. Make small and equal sized balls. While making them press gently between palms and make round shaped balls. Heat oil in a deep and thick bottomed kadai. Do not over heat. Simmer the stove and slowly drop each ball into it. Cook them in a low to medium flame, stirring occasionally. If we cook them on high flame, they turn into brown outside and won't cook inside. Cook them till they turn brown in color. They should get nice golden brown color. Remove them from heat and slowly immerse them in sugar syrup. Let the sugar syrup be warm, even if it cooled, warm it for 2 minutes. Keep them in the syrup till we serve. 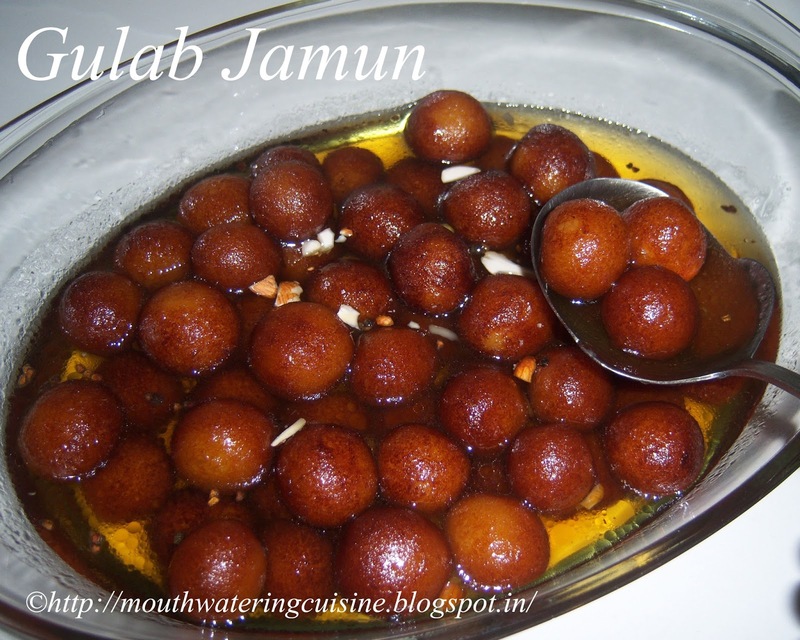 Serve sweet and soft gulab jamuns cold or hot, either way is tasty. I like spongy sweets such as Rasgulla, Gulab gamun, and cham cham. The sugary juice with essence of makes the sweet even tastier. Thanks for sharing the recipe.